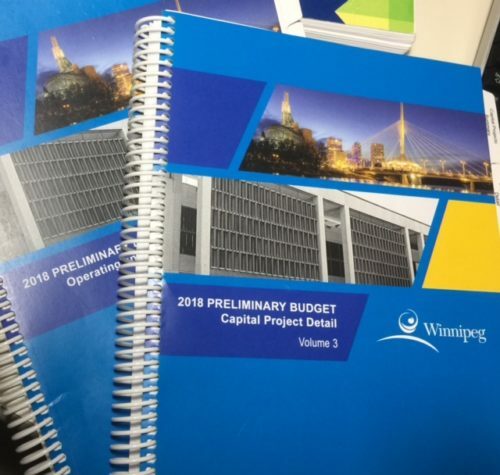 Every year, I update South Winnipeg-St. Norbert Ward residents on the City’s Budget and will do so again this year. The 2018 Preliminary Budget was just released yesterday (November 22, 2017), and I am currently reading and reviewing the information. I was not part of the City Hall Budget Working Group* this year, so have not been involved in setting priorities and balancing the 2018 Preliminary Budget. I am extremely pleased that $175,000 has been included to conduct a Governance Review on how City Hall functions. The current governance model has not been reviewed in 20 years, and in my opinion could stand to have some significant changes made. As a new member of the City’s Governance Committee, I very much look forward to being a part of this review. I’ll continue reviewing the budget and will be posting additional information next week.